U-VISA CERTIFICATION: In every judge’s career there will likely come a time when they are asked to sign a U-visa certificate on behalf of a noncitizen crime victim. The decision whether or not to sign the U-visa certificate is completely subject to the judge’s discretion. However, in order to intelligently exercise that discretion the reviewing judge, at a minimum, should be familiar with 10 basic facts regarding this Federal program. In addition to judges, Congress also included law enforcement officers and prosecutors on the list of persons authorized to sign U-visa certificates. Both of the enclosed training updates (a Minnesota version and a National version) have been fully vetted by the U.S. Citizenship & Immigration Services (USCIS) and the National Immigrant Women’s Advocacy Project (NIWAP). The National version will be posted and stored on the NIWAP’s online U-visa resource library. SAFE AT HOME PROGRAM: Minnesota is one of 39 states to enact “address confidential” legislation for victims of domestic violence. In 2007, M.S. Chapter 5B established the “Safe at Home” Program which is operated through the Office of the Secretary of State. The “Safe at Home” Program allows victims of domestic violence, sexual assault, and stalking who fear for their safety to enroll in an address confidentiality program. The core tenet of the program is the non-disclosure of a crime victim’s residence. However, Safe at Home is not just for victims of domestic violence and stalking. 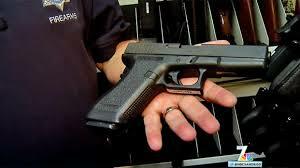 The program can include anyone who fears for their safety (law enforcement, etc.). 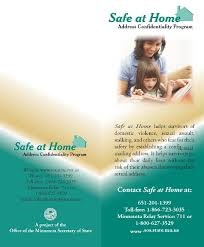 1) What is the Minnesota “Safe at Home” program? 3) Under what circumstances can the District Court order disclosure of a victim’s confidential physical address? 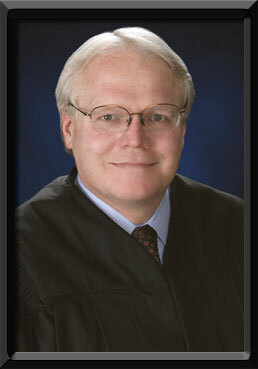 Attempted Murder of a Judge: The facts in this update come from an amazing story. Eight years ago a sniper shot Judge Chuck Weller (a family court judge in Reno, Nevada) just above the heart as he was standing in his courthouse chambers. The shooter was an estranged husband embroiled in a contested divorce and child custody action. The shot was fired from the roof of a parking garage 200 yards from the courthouse. Earlier that day, the husband stabbed his wife to death during an exchange of their nine-year old daughter. Following his recovery, Judge Weller entered into an advanced degree program and wrote a doctoral dissertation on courthouse violence. This training update summarizes 15 key facts uncovered from Judge Weller’s exhaustive research into this troubling area. One of the most interesting findings is the correlation between courthouse violence and domestic violence (see finding #6 on page two). These are facts that every judge, attorney and the general public should know.